When I laid eyes on this cake it was love at first sight. I have a well documented obsession with pomegranates and a recipe that involves covering an entire cake with them is impossible for me to resist. Add to that the fact that this is almond based with tangy lemon and orange zest and I may have discovered my new go-to cake. And my gosh is it a showstopper! Those gorgeous jewels all over the top! This would definitely be an awesome choice for an alternative Christmas (or thanksgiving) dessert, it screams celebration! Thanks to the whipped egg whites, this cake is super light despite the whopping amount of almonds. The soft, moistness of the cake is perfectly complimented by the crunch of the pomegranate seeds. 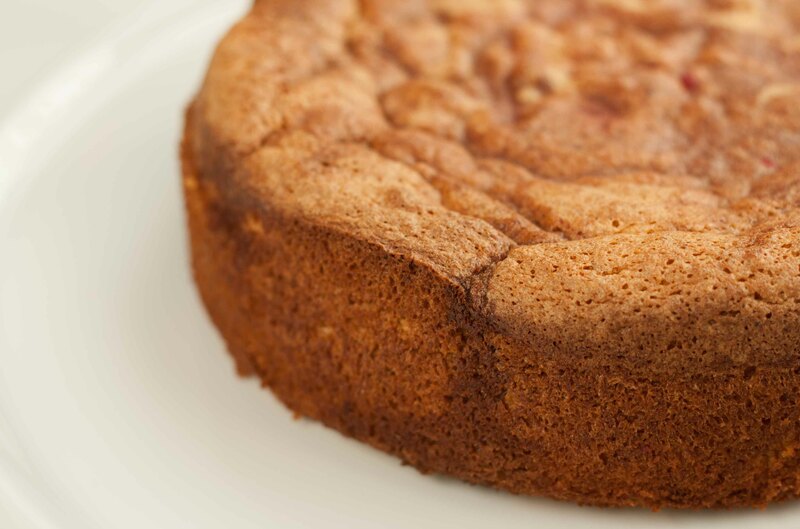 Basically this cake is amazing and even if you’re perfectly happy with a bit of gluten you just have to make it. Trust me. Preheat the oven to 180C / 170C Fan / 350F and then grease and line a 9inch round springform baking tin. Separate your eggs and put the whites into a completely grease free large bowl (I used a stand mixer with the whisk attachment but you can use a mixing bowl and handheld whisk if needs be) and the yolks into another large bowl. Whisk the whites with the pinch of salt until they are firm but not dry. Then quickly whisk in 100g of the sugar and leave the whites aside until you’re ready for them. In the other large bowl whisk together the yolks, 200g of sugar and the zest until really light and fluffy. Next beat in the almonds, the mixture will be very thick. Add a blob of egg whites to the yolks and mix it in fairly thoroughly to loosen the mixture. Gently fold in the rest of the egg whites one third at a time being careful not to knock the air out. Pour the mixture into the tin and pop it in the oven for 30 to 40 minutes. Check the cake after 30mins and if it’s already light brown but still a little wobbly in the middle, cover it with tin foil for the last 10mins. 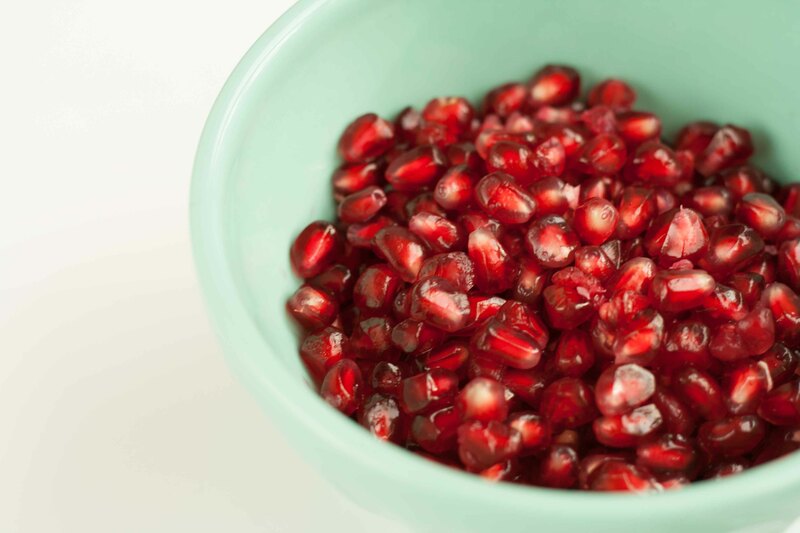 Remove it from the oven and immediately pour over the juice of 1 pomegranate so that it soaks into the cake. Leave to cool. Once cool run a knife round the edge of the tin and release the cake, put it on a serving plate and top it with the seeds of the other pomegranate. Serve up in big hunks and enjoy! Love the look of this cake with all the pomegranates on top! Definitely perfect for the upcoming Christmas period. Your cake looks spectacular! Another reason for me to restock on almond flour! It tastes as good as it looks, you can’t go wrong with Nigella!